Aside from the wedding gown, the wedding bouquet remains the most important bridal accessory for your magical wedding and is sure to be the focus of everyone’s gaze. The style of your bouquet will depend on the type of wedding gown you choose and the overall color scheme of your reception. In addition to the bouquet, flowers make most solemn the ceremony venue, decorate the car, delight the reception venue and the banquet tables. 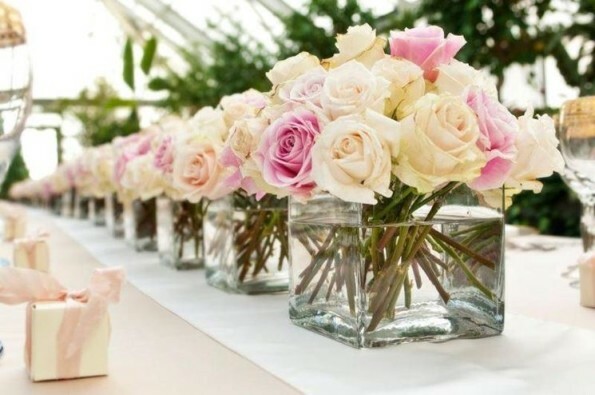 Wedding flowers can truly say a thousand words. The floral design you choose tells your guests and the world about you, your style, and your feelings for one another. That’s why our floral designers are expert in translating words and feelings into wedding flowers arrangements.